There were pills you put in the chimney (is that the term?) of the engine and it would smoke. Not sure if it puffed or puffed faster with changes in engine speed. I wonder if it is a collectable now? Smokestack is the term I couldn’t remember. Official Lionel Smoke Pellets still available on eBay! 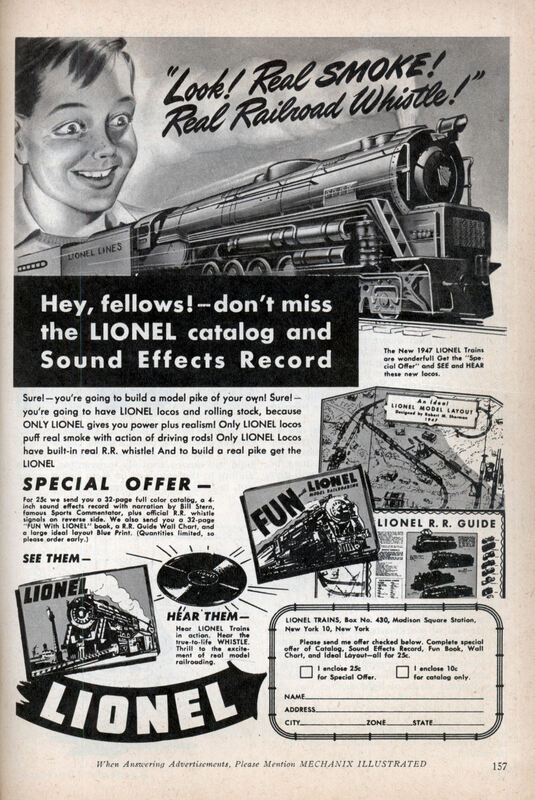 Just about everything Lionel from that period is collectible. I bet those SFX records are particularly rare (folks! Check your attic!). Model trains were truly a father/son bonding device. 1947. I’m sure that breathing in the smoke from those train pills causes cancer. The pills where replaced with liquid drops. Little kids where poping them to see if they would smoke. That kid’s face is terrifying. 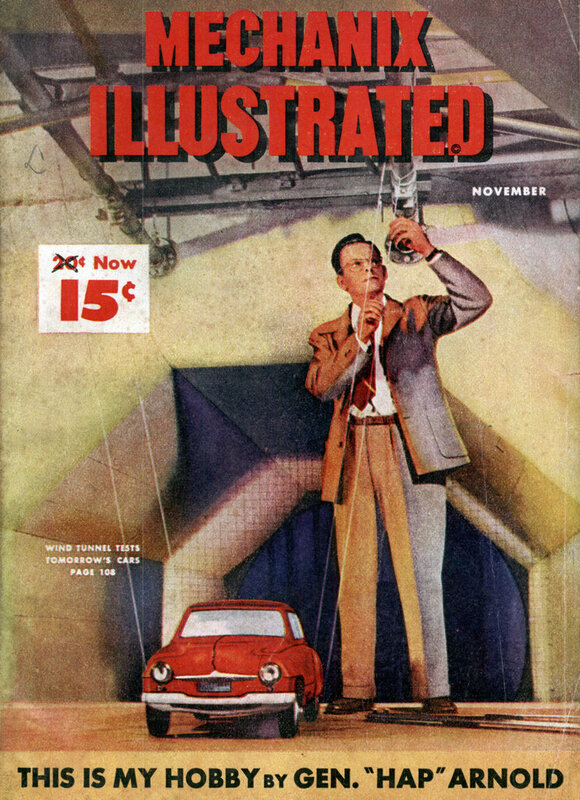 I have one of these from ’47, still works….